It was our second day in Sikkim and I was excited to see the snow. When the tour manager had come the night before to brief about the program next day, first thing asked him was whether we can witness the snow. Though he did not answer the question in the affirmative, he did hint that we may get to see some snow. How could he answer correctly, if he had not gone with the tourists. Yes, tour operators will not accompany you during the sight seeing citing extreme cold. So, the arrangement is between you and your driver for stops for having food or taking photos! The Beginnings : It was in the month of March 2016, I started planning for a trip to the Himalayas. I was more interested to visit Bhutan, the Himalayan kingdom – known for its pristine nature and Gross National Happiness(contrary to Gross Domestic Product) – a bold concept in quantifying the well being of a citizen. Budget constraints and the thrill as well as joy of exploring paradises in our own backyard, prompted me to check for Sikkim tour packages! North Sikkim is a must in the itinerary, said my friend Sandeep, a prolific explorer himself! But there were only few packages available, which included it. After careful contemplation, I finalized a package, which had the following itinerary! How to get Official Transcripts from VTU through Bangalore Regional Office? If you have completed Bachelor of Engineering(B.E) from Visvesvaraya Technological University(VTU), Belgaum, you would need official transcripts from the university, if you are applying for higher studies abroad or during immigration. This post explains the procedure to get VTU Official Transcripts through Bangalore Regional Office. GBSM, U Turn and Thithi have taken Kannada film industry by storm with viewers finding it difficult to get tickets even on weekdays! Here are the quick reviews of these path breaking films, which may help you in deciding to watch these movies. Godhi Banna Sadharna Mykattu (GBSM) : Venkob Rao, who is living in an old age home and suffering from Alzheimer's, goes missing. His son, Shiva and Sahana, the doctor who was attending Mr. Rao, begin search for him. In this arduous journey, lead characters rediscover themselves. GBSM is a must watch for those who love emotional stories and philosophical insights on life. For a detailed review of GBSM, please click here. U Turn : Taking a simple incident of traffic violation, director Pawan Kumar crafts an engaging story, which is thrilling till the last minute. Along with being a nice entertainer, the film emerges as a hard hitting commentary on the lack of civic sense in Indian cities. This is definitely worth going, if you like edge of the seat thrillers. For a complete review of U Turn, please click here. Thithi : Thithi entertains with its subtle humor despite being an artistic movie. The film is also realistic, like most artistic movies. Presenting different takes on life, film leaves a lasting impression with its philosophical overtones. If you are an ardent fan of parallel cinema, this is a must watch for you and for the rest, you may not enjoy that much but still can take a chance. For a detailed review of Thithi, please click here. What is GBSM about? Neglect of elders by their own children is a prevalent problem especially in metros. Godhi Banna Sadharna Mykattu (GBSM) makes an effort to look into it. The story begins quickly with Mr. Venkob Rao going missing, within few minutes into the movie. This surprises you as you would have expected some drama before that. Humor: Humor plays an important role in the movie. So, though dealing with a serious subject, you would be tickling your funny bone at regular intervals. Interestingly, the incident which leads to the major twist in the story involves humor. Bengaluru dialect of Urdu has been used in a comedy scene, for which you would definitely need the subtitles! Music: You would be scared, if I tell that the movie contains 9 songs. You can check out those songs here. But not to worry as mostly bits of songs are used. Whenever you feel it could be an emotional overdose scene, director quickly switches to a song. I must say, this has proved effective in conveying the thoughts. Raj Ghat, Red Fort and Chor Bazaar! Raj Ghat : Back from Akshardham temple, we headed to memorial to father of the nation, Mahatma Gandhi - Raj Ghat. As it was a government holiday that day, we could not enter the memorial. So, we had to be content viewing it from outside. Following are the photos of the memorial. U-Turn - Simple and Thrilling! Prologue : I remember, Pawan Kumar, in his short film making workshops, emphasizes on how a creative person develops a personal disturbance into a story. Sometime back, Pawan had witnessed a giant fuel tanker falling off a flyover near Nagarabhavi, Bengaluru. Quite disturbed, he had shared the incident in his Facebook status. Now, if you see U-Turn, you can readily make the connection. What is U-Turn about? U-Turn is a simple story revolving around a traffic violation, so commonly seen in Bengaluru. But you can change the setting to any metro in India and you will find the same story shaping pretty well, there too. India Gate : After Jantar Mantar, we headed to India Gate located near Rajpath. The 42-meter high arch is built in memory of 70,000 Indian soldiers who died fighting for the British army in first world war. You can also see the names of the soldiers who lost their lives on the walls of India Gate. Amar Jawan Jyoti, located below the India Gate reminds us the spirit of Indian soldier. This was added after the Bangladesh liberation war of 1971 with Pakistan. Visiting this war memorial is a proud moment of any patriotic Indian. This memorial is guarded by men from Indian Army 24 x 7. Beating the summer heat, the North-East way! Planning : The mystic Himalayas have always intrigued me. Finally in the month of March 2016, I started planning for the coveted trip. I had tough time finalizing the itinerary. Northern Sikkim is a must visit, said my friend Sandeep. But I could find only few trip packages, which included it. After some deliberation, I finalized the package, exactly a month before the tour! Next day, our first stop was at Jantar Mantar. Good thing about ASI monuments is that their entry is open from sunrise to sunset. So, one need not wait for some precise time for the monument to be open and make the trip plans accordingly! Construction : The observatory was constructed by Maharaja Jai Singh II of Jaipur following the order of Delhi's Mughal emperor Muhammad Shah in 1724. It was early in the morning when we entered the place and nobody else was there. So, we could stroll around the green lawns of Jantar Mantar and take photos at will! Built primarily to estimate the times and movements of sun, moon and other planets, Jantar Mantar at Delhi is not the only such observatory in India! But it was the first one to be built. You can also find the observatories in Jaipur, Varanasi and Ujjain built by Jai Singh himself! Interestingly, there is no telescope in these observatories built by the Maharaja! Yantra's : There are 13 different yantras inside the Jantar Mantar complex. To elaborate on few, Misra Yantra was designed to determine shortest and longest days of the year. It was the only instrument not invented by the Maharaja Jai Singh. We wanted to experience the Delhi Metro while exploring the city. So, boarded the metro train from Kalkaji to Chandi Chowk, one of the busiest business places in the national capital. 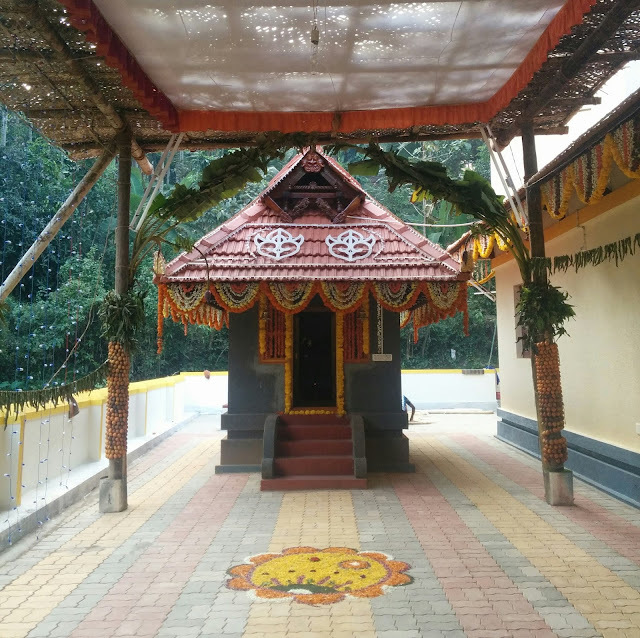 We strolled down the road to spot Gowri Shankar Temple. At the end of the road, we could see the Red Fort, for which the entry was closed for the day. It was already late in the evening and we had to jot down the plan to visit other tourist attraction before our flight to Bengaluru in the afternoon. We hired a taxi from there, who would drop us to the hotel and would drive us through Sri Lakshmi Narayan Temple(Birla Mandir) and India Gate. I believe not many are aware that Sarnath, the place where Gautama Buddha gave his first sermon is very close to Varanasi. Neither we were aware of this, when we visited Varanasi in August 2013. We came to know that Sarnath is just 13 km away, when we were returning back to our hotel after visiting Kashi Vishwanath Temple in the morning. Ganga Aarti, a must watch spectacle in Varanasi was later in the evening. So, we made a quick decision to visit Sarnath, with a resolve to come back before Ganga Aarti at Dashashwamedh Ghat at 6 pm! Tranquility : We hired the same auto rickshaw to drop us to Sarnath. First impression of Sarnath was of a serene place, quite a contrast to chaotic Varanasi! Only thing which was preventing us from enjoying the tranquility of the place was the scorching heat! Giant statue of standing Buddha caught our attention immediately. It was the statue of Buddha at the Thai Temple in Sarnath. 'No leather items inside the temple including belt and wallet. Of course, no cameras and cell phones' - hotel staff had instructed us before visiting the Kashi Vishwanath Temple in Varanasi(also called Banaras or Benares). So, I don’t have any photos of the temple, clicked by me. Just outside the hotel we stayed, we enquired a taxi guy to drop us to the Kashi temple. But the rent he said would charge was too high – Rs.400 for a journey of 5 kms and the year was 2013. We walked ahead to catch an auto rickshaw. The driver agreed to take us to the temple and drop us back to the hotel for Rs.200. Getting Inside The Temple :- I was expecting a spectacular entrance to one of the most visited Hindu temples in the world. But when the auto guy dropped us in front of a petty shop, I was totally taken aback. He instructed us to go through the narrow alley passing through the row of shops and told to get hold of any Pandit(priest), who will get the Darshan(glimpse of the sanctum of the temple) done quickly! We followed his instructions to reach the entrance, which looked like of a small shrine. We removed our footwear and kept inside a shop nearby. Shop keeper asked us whether we wanted prashad(or prasada/prasadam in south India) to offer and milk for abhishek(or abhishekam) to Lord Vishwanath. We were surprised as in most south Indian temples, devotees are offered prasadam from the temple after darshan. Also, if we pay for the seva, prasadam will be provided at the temple itself. But it was different here, explained the shop keeper. We bought the prashad and milk for abhishek. After the security check, we were let inside the temple. Tejaswi - When I started reading Poornachandra Tejaswi's works few years ago, first culture shock to me was the use of cuss words. I felt like blasphemy of the holy literary space! I was about to stop reading. But then I thought something greater must be in store because Tejaswi has a big fan following! To this day, I have not regretted my decision and I remain one of staunch fans of Kuvempu's son! In the movie, cuss words have been reduced drastically not because they have been used sparingly. The censor board has already heard them and muted them for general public. This certainly has impacted the rhythm of the movie! Ironically, you can hear worst(or best!!) of cuss words in your neighborhood in Bengaluru during fights involving owner and tenant or even during minor accidents on road! What is it about? Kiragoorina Gayyaligalu is a novella by Tejaswi, which brilliantly depicts the life of people of Malnad region with high dose of humor! Rustic women of Kiragooru have to deal with a lot of issues due to drunkard husbands and village politics and sometimes, they quarrel among themselves! In spite of these problems, they are united. They continue to strive and manage the household. How these women get rid of their life's problems form the crux of the story. Caste politics in Kiragooru mimics the politics in Vidhana Soudha, where fortunes are made or broken solely because of caste equations. Tejaswi had written the story more than two decades ago. So, I also felt that the film adaption could have made few changes in the story to depict the latest scenario. Crisp dialogues, double entendre and parodies of popular ads/movie scenes continue to be the key ingredients in Suni's latest offering Simple Aag Innondh Love Story too! Praveen and Meghana Gaonkar's chemistry recreates the magic Rakshit Shetty and Shwetha Srivatsav did three years ago in Simple Aag Ondh Love Story. More importantly, the movie makes us laugh our heart out just like its prequel! What's the film about : It is a road movie, where the lead characters fall in love through the journey! Never mind the story, because one should never look for it either Suni's Simple Love Story series or Yogaraj Bhat's recent films. Because they are for the Whatsapp generation - i.e You should be able to message the story in a single line. But for the dialogues, it is like a Whatsapp group conversation - pouring non-stop from everyone and if you miss one, you cannot follow the conversation! How to change the name in BESCOM electricity bill? Ok, you have completed the registration of your newly bought house/apartment in Bengaluru. What next? Changing the names in BESCOM electricity bill and BWSSB water bill must be your priority, which once done, would immediately serve as a address proof to your new residence. Explained here is the detailed procedure to change the name in BESCOM electricity bill or transfer of BESCOM electricity connection. Modest Tulu film industry is coming of age. Though the Tulu cinema has a history of 45 years with 60 films, close to 30 films got released in the last 5-6 years! Major boost to this boom was the success of the movie Oriyardori Asal in 2011, which was based on the popular Tulu comedy drama of the 90's of the same name. Previously any Tulu movie released in Mangalore region, used to be screened in Bangalore too, which has a sizeable Tulu population. Nowadays, a Tulu film is released only in Dakshina Kannada, Udupi and Kasaragod districts and sometimes in the United Arab Emirates to cater the immigrant population - makers clearly noting the profitable markets! I think National Electronic Funds Transfer (NEFT) is one of the most commonly services used in Internet Banking in India. Started more than 10 years ago in 2005, NEFT has become an integral part our daily lives. Quick and reliable, it has slowly replaced payments through cheques as the transfer gets done within two hours nowadays. Though rare, a NEFT transfer may fail due to some technical glitch. It may happen at the time of heavy load of payments during the last day of the month or so. Here’s what you need to do, in case your NEFT transfer fails i.e remitter account is debited but the beneficiary account is not credited with the amount! You can also read this article in Kannada here. I witnessed a Bhuta Kola recently in Puttur, Dakshina Kannada district. Performed during the night, Bhuta Kola or Bhoota Kola is a predominant form of worship of the Holy Spirits in Tulu Nadu (comprising of Mangalore, Udupi districts of Karnataka and Kasaragod district of Kerala). Though I am a native of Mangalore, it was the first time I watched the full ritual, which runs from dusk to dawn. Bhutas are worshiped as a divine forms or Ganas of deities like Lord Shiva or Mother Goddess. They are also worshiped as Rajan Daiva(royal spirit). Also, local heroes like Koti Chennaya, who stood for truth and dharma are given the status of Daiva after their death. Season of Bhuta Kola : Also called Dharma Nema, Bhuta Kola is performed anytime from Deepavali day(during October) till Pattanaje or the 10th day of the Hindu month of Vrishabha (falls around the 25th of May). Bhuta (the Holy Spirit) is also called Daiva and the worship of Bhuta is known as Bhutaraadhane or Daivaraadhane. Bhuta, when worshipped by a group of families spread over various villages and towns, is called Kutumba Daiva. A shrine or a temple is built for the Daiva by the family. It is called a Bhuta Sthaana or Bhuta Gudi. On the other hand, Daiva's are also worshiped by all the people of a village or town. Buddha's teachings are relevant in today's world which is driven by conflicts, more than ever. I believe many of us, though not Buddhists, got influenced by Buddha's thoughts. Buddhist monasteries are perfect places for meditation with their peaceful surroundings. But did you know that there is a Buddhist monastery in the heart of bustling Bangalore city? Yes, near the Freedom Park, you can find this Buddhist monastery or Buddha vihara. If you are going from Anand Rao circle towards the Freedom Park, before the park, if you take a right turn onto Kalidasa road, immediately you can find it! On the last day of our visit to Hyderabad, we planned to go to Ramoji film city and leave for Bangalore after that. Ramoji film city is an hour drive from the city and is around 30 kms away. We reached the place at around 10 in the morning. Guided Tour : After entry into the film city, a bus took us to the actual destination(the film city! ), from where the tour began. Huge fountains, beautiful sculptures greeted us along the way. The bus dropped us to the point called Eureka, from where we had to catch one more bus painted red and which looked like it was from a fairy tale. A guided tour began from the time we boarded this bus. A guide explained the various sets made of plaster of Paris and its significance like which movie was shot there etc. It was a great feeling when we came to know that our favorite movies were shot in those locations. Sets : First set we saw was that of Mahabharatha. Then we went to see the railway station shooting location. To our surprise, the station name was Mangalore Central in Kannada! We visited some of the iconic places in Hyderabad during our second day in the city. Char Minar : Built at the center of the city in 1591 AD, to commemorate the eradication of plague, Char Minar is a global icon of Hyderabad. It is located in old city of Hyderabad known for chaotic traffic. So, the best way to visit the place is take an auto from MGBS(Mahatma Gandhi Bus Station), after parking your vehicle. Arriving at the place, through one of the minarets, visitors are allowed to have a glimpse of the interiors of the historical monument. The stairway through the minaret is narrow and cramped. So, one needs to be cautious while climbing. Once inside, you can have a look at the Indo-Islamic architecture drawing elements from Persian architecture. One of the delighting views here is the sunset which can be seen in backdrop of Mecca Masjid, which is close to Char Minar. Bhagya Lakshmi Temple : One of the minarets at Char Minar houses the Bhagya Lakshmi temple. Carved in white marble and decorated with jewels, idol of Goddess Bhaya Lakshmi catches the attention of devotees. Kurnool : At around 10 30 we reached Kurnool with a craving for breakfast. Getting up early in the morning and a five hour journey till then had taken its toll. Surprisingly till Kurnool, you don't find good restaurants along the way. Lepakshi in Andhra Pradesh makes an ideal weekend getaway from Bangalore. It is just over a two hour drive from Bangalore. An architectural wonder, it makes a perfect destination for photography enthusiasts too. Nandi Statue : First thing you notice entering Lepakshi is the huge monolithic Nandi statue. The sculpture is 10 meter in length and 6 meter in height. Nandi is decorated with a necklace, muvvahara and a garland of bells and has short horns. You can also find the emblem of Karnataka Government, Gandaberunda, a two-headed mythological bird on the necklace of Nandi. Veerabhadra Temple : Moving ahead you will find Veerabhadra temple. 16th century Veerabhadra temple embodies the famed Vijayanagara architecture. As you enter, you find that the gopuram of the temple is not completed.